You are here: Home / Weekly Columns / Opinion / Microsoft Surface Phone or Microsoft Andromeda, What’s Going On? Microsoft Surface Phone or Microsoft Andromeda, What’s Going On? 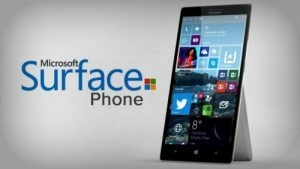 (ThyBlackMan.com) Microsoft Surface Phone or Microsoft Andromeda whatever you call it but it is the only hope for Microsoft’s diehard fans. In 2017, the company signed the death warrant of Windows Phone and its key people like Joe Belfiore, Corporate Vice President said that they have switched to Android. But no matter how many times Microsoft crushes the hopes, fans still believe that Microsoft Surface Phone is a reality and to prove their claims, they have copies of patents filed by Microsoft. Last year, infinity display was the biggest challenge for smartphone makers and eventually, many of them introduced full vision display in smartphones. Now when the hunger for innovation seems unbeatable, fans want to see foldable phones and some manufacturers are reportedly working on making such devices. If patent filings by Microsoft are something to go by, some of them are giving clues about a smartphone coming from the company. Microsoft is silent and nobody is officially talking about any smartphone, but if the technology we have seen in patents takes shape, a beautiful foldable phone is probably coming from Microsoft. We can’t deny with the fact that there are chances that the company is secretly working on a killer smartphone which can either be a standard foldable smartphone or something that serves the purpose of a tablet, smartphone and a compact surface device. In 2018, if you imagine a foldable phone, the first thought that comes to mind is ‘are we going back to where we started from?’ We can’t forget those beautiful flip phones and those days when innovation in smartphone industry was faster than what it is today. Soon after that we got touch screen devices, bigger display size, better performance and features. It was a beautiful journey but going back to where we started from is not exciting. Thankfully, today we are not looking at a patent that shows a flip phone, but the diagrams we see in those patents show us a device with foldable display. It means that what we would be holding and folding is a screen. On papers, the idea of a new Microsoft Surface Phone appears to be great and it looks very promising. We see that the area from where the device can be folded is completely detachable. The patent details also show that the device which is also known as Andromeda will feature magnetic locks. It is a similar kind of mechanism that exists on laptops. These feature look great on papers and it was the same case with Windows Phone, but lack of apps and the absence of a strong support on the platform made people skip Windows Phone. The Surface Phone or Microsoft Andromeda whatever it is called might feature a single camera but surprisingly this camera will work in a very different way. It will work on the outside and inside of the device whenever the display is folded. It is being said that this was made possible with the help of customizations on lens configuration. As a result, one sensor allows the light to come inside from both inside and outside. 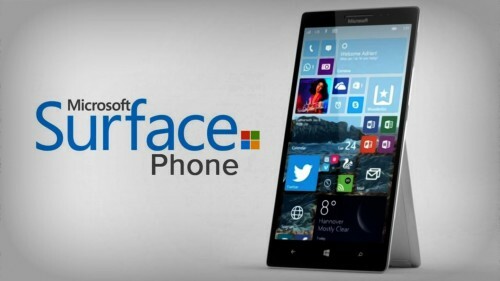 Some reports claimed that the Microsoft Surface Phone is almost ready and it will be launched sometime in 2018. If the reports are something to go by, the final prototypes of the device are already under testing and there are reports about the device’s hardware claiming that it will come equipped with Qualcomm’s Snapdragon 845 hip. This is too early to speculate on such things because some of the patent applications were filed in late 2016 so expecting such device to come any time soon sounds unrealistic. It is not easy to trust all the reports because companies like Microsoft file application for many patents and many times companies simply dump their plans during development. Only the company knows whether the Microsoft Surface Phone or Andromeda tablet is coming or not. But if it happens, there are very high chances that Microsoft will not touch its own Windows Phone operating system for the device. If things go well, Microsoft will keep users tied to a device-specific version of Windows 10. I’ve been using Lumia 950 dual ever since it came out. Could have bought latest Samsung or iPhone in no time. Main reason I’m still not doing it is that Windows 10’s interface is what I can only sick with. I went from Android and iOS to Windows, not the other way around. If Microsoft doesn’t put out a new decent phone this year or max next one, I’ll be forced to do something against my will – switch to Android cuz by then if there is no new model from Microsoft, we, diehard fans, will be left so far behind in terms of innovation and technology. And, that is a turning point. I still use my 640 LTE, for the last 3 years and I still can’t imagine using anything else other than Windows 10 Mobile, though Windows 8.1 was decent. I love the interface. Like others, I will wait until this device (I have two just in case) doesn’t work anymore, holding out hopes Microsoft can pull an ace out of the proverbial rear. I believe that if they make an outstanding device, people will change their mind and apps will soon migrate to the Windows Store. Here’s to hoping. Windows Lumia 950, they really need to put out a surface phone. They are in danger of losing their OS advantage on PC if they don’t. Lost focus on the small form factor Windows appears to be affecting apps on regular Windows 10 now. Exceptionally poor insight by current Microsoft leader Satya Nadella. I used to have Lumia 520, then Lumia 930 and now I have Lumia 950XL. New apps in Iran are made for Android, but I’m going to keep my 950XL until it stops working! Hopefully a miracle happens until then. I hope it is true. I had to abondon Lumia 950 due to hardware collapse and started Android phone, as advised by Microsoft. It is rather confusing experience. Specially from the point of view of its apps. Majority has annoying ads or are simply web apps. I always thought that good browser is better than apps.That’s the way to go. My only wish is that we finally see that Phone-like device from Microsoft, be it Surface Phone, Phold Phone, whatever, just please, equip it with interface which can be locked down, would not have spontaneously disappearing or moving tiles, which we could name, just as in Android. I hope as well to return to using Windows keyboard, which I see now, was better than anything else. I was upset to hear that MS pulled the plug from MS phones even when they swore they would not. I currently use HP Elite but I am seeing some hiccups in OS , I plan to change to Samsung Galaxy Note 9 when it comes out later this year, I am not looking forward to that, a new OS for one of the most important business devices I use in the day by day. If Surface appears before then, that will change my plans but I think MS is going to disappear from the hardware markets and just move into the clouds. I for one will go back to a simple flip phone before I. Will go to ios or android. I’ve used android and it’s too buggy and too many freezes. Played with someone’s iPhone and totally hated the ios system, the way it functions, and its static hone screen. By far, windows 10 mobile has been the best. Since Microsoft has left me high and dry, I guess flip phone, here I come. ? I’m a Windows phone user since wp7, my latest Lumia was a 925, an excellent piece of hardware, and now I’m using an Alcatel Idol 4 which is not so great, but at least I can keep using the best software for ? phones, which is wp10!!! I hope that MS don’t let us, all the real core fans, fall in the disgrace to downgrade to iOS or Android. Fingers crossed ? I am so hopeful that MS will follow thru with the long-rumored Surface Phone. Some major parts are there (Win10 on ARM, foldable screen), but OEMs have proven that they won’t produce smartphones for Windows, unless MS can first prove there is a market, and the Surface line is a proven winner in showcasing Windows technologies. I am concerned that the Lumia 950s and 950XLs that we use across my company (and for my family) could require replacement before a new Windows smartphone is available, and some of us might have to downgrade to iOS or Android. I love my Lumia 950 and have had Windows phones stretching way back. My friends and I have kept faith that a new flagship Windows based phone will appear before our existing phones cease to work I cannot contemplate having to use Android or iOS. My brain isn’t wired that way.